What started out to be a no cooking evening turned out to be a delicious dinner and a simple way to prepare a Shrimp Salad. Most all of the ingredients were either in the fridge or in the freezer. A serendipitous meal. 1. 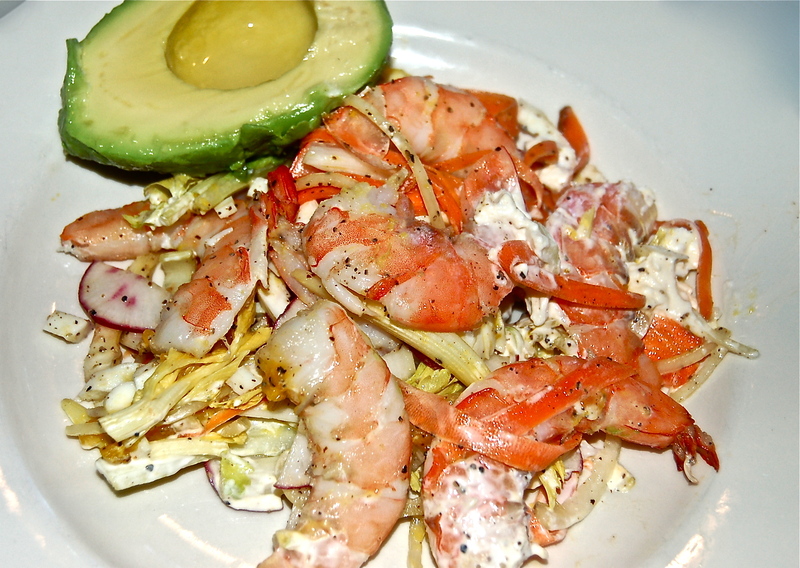 In a large bowl, gently toss the Shrimp, Celery, Carrot, Onion, Eggs & Mayonnaise. Season with Salt & Pepper. Chill until ready to serve.